The menace of youth employment is rather alarming considering the statistics that have been made available in recent times. In the 3rd quarter of 2017 alone, a 3.6% increase is evident and worrisome at the same time. However, there are concerted efforts geared towards improving the state of unemployment and underemployment against youths in rural communities, and the larger society. 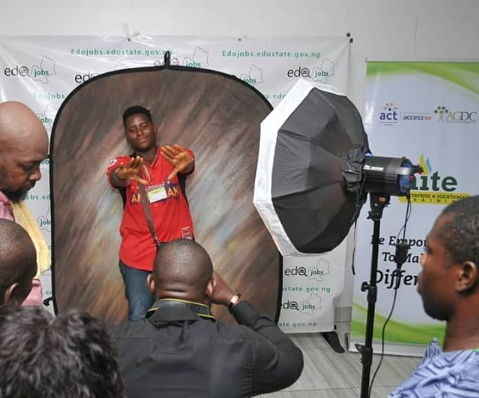 Through a partnership between the Afterschool Graduate Development Centre and ACT Foundation, over 200 youths have been a part of the Edojobs scheme which has witnessed the training of these young graduates from rural communities across Edo State in solar panel installation, cosmetology and photography. More so, the scheme is designed to equip the beneficiaries with business intelligence and financial literacy skills with an option to apply for funding to start up and accelerate their businesses. ACT Foundation CEO, Osayi Alile commenting on the youth-targeted empowerment scheme urged stakeholders from every sector to be more involved in programs designed to equip youths to overcome challenges in business, as well to scale through hurdles associated with unemployment and entrepreneurship in Nigeria. “Nigeria is overridden with challenges, a multitude of them. Youth unemployment makes up significantly large part of these challenges, and as such we are channeling our efforts towards them because we believe in the power of the youths, and in what they can achieve with regards to improving the general standard of living”, Ms. Alile said. The Edo State government commended the milestone being recorded by the partnership, as well as assured Nigerians that they will do everything possible to ensure that youths in the state are self-reliant in the nearest future. The State government also committed to aiding trainees in securing credit facilities from the Bank of Industry (BoI).